The board of the EUBGF (European Backgammon Federation), chaired by its president Denmark’s Steen Grønbech, has been working hard over the past year and at its last Annual General Assembly voted in its formal statutes (constitution) and official tournament rules, which fully mirror the UKBGF Rules. All member nations are required to translate the rules into their native language and to file such translated version with the EUBGF and these may be found on the EUBGF website. For 2015/2016 the EUBGF has brought on board 17 full member nations: Bosnia and Herzegovina, Croatia, Denmark, France, Greece, Hungary, Iceland, Norway, Russia, Turkey, Belgium, Sweden, Romania, Switzerland, United Kingdom, Italy and Gibraltar, and six associate members nations: Serbia, Finland, Austria, Czech Republic, Poland and Germany. Discussions remain ongoing in relation to other nations also wishing to join. The longer term outlook is to work towards a global backgammon federation but I suspect that we are some way off such a noble goal. One step on the way there would be to have a unified set of tournament rules and at least that could be an achievable goal in the medium term especially now that Europe has a set which have also been accepted by some non-European nations too. As I’ve mentioned before however, rules aren’t set in stone and over time must be refined, corrected and/or developed to enhance the playing experience for everybody. Full annual membership of the EUBGF last and this year cost €300 but as the organisation is non-profit making, in subsequent years where there is a sufficient surplus it is envisaged that membership fees will be scaled back significantly or set at zero. The main goals for the EUBGF for 2016/2017 include continuing to expand membership, to further develop/enhance the European team and individual championships, to implement procedures for the maintenance of the rules, to further develop procedures to promote member nations tournaments, to overhaul the official EUBGF website, to develop a high quality ranking system and to form and implement an ethics committee and its communication procedures. The UKBGF Board is not planning to launch a bid for the 2017 championships. However, if anyone is interested in doing so, the UKBGF would be happy to assist in promotion and otherwise provide as much support as possible. Note: the closing date for bids is the 15th September 2016. You ask a number of questions. The correct place to discuss rule changes is via the rules subcommittee. It is not practicable or manageable to have separate debates on bgonline, on twitter, here, on dailygammon, on Facebook etc. The UKBGF Board is 100% committed to diversity and equality. This is an item on our Board Agenda this evening and I would like to see it become a standing item on the agenda. This is a key priority item for the UKBGF board. I am not a big fan of constitutional documents. Writing further constitutional documents would not be a priority for the board under my leadership. There are 4 months till a new board take over and this may be a priority for them. The ‘impartial’/’disinterested’ distinction is one for the Rules Subcommittee. Please email them with your comments and suggestions. Julia has responded on the map issue. Apologies for the delay in responding but I was a little busy this weekend. Thank you for your positive outlook to the issues raised. This is not just a UK phenomenon I think, but a worldwide issue where federations in general haven’t built policies or frameworks which proactively plan for and champion the needs for diversity and disability access. The UK has a great opportunity to be the pioneer in formulating a clear ethos with associated policy documents and best practice guidance, giving a lead for all the other federations to follow. The idea to include some guidance in the tournament rules was a pragmatic one to ensure that the key issues achieve a high profile. However, I accept that, theoretically at least, guidance might not be best placed in a document dealing with what are essentially mandatory requirements. I trust the board, or its appointed committee, will find the best place and way to embed these important issues within its policy framework. I completely agree Rick, any organisation nowadays should have a diversity statement and none discrimination. Something that to date I feel has been overlooked. We all want more players in the game and those with disabilities are a growing number. Added to that the average age of players increasing, along with their frailties I feel this is a situation which will only increase over time. Well done for your initiative…and support!! Thank you for your suggestion. Last September we established the rules subcommittee to be the guardians of our rules. I will forward through your suggestion. The reason for having a single route for suggested changes is to ensure that none are lost or missed. The general point about diversity and equality is well made. The board are meeting this evening and this is on the agenda. I have a number of ideas for how we might get better at this. Please take my suggested amendments to the rules committee. I have made suggestions before and they have been rejected out-of-hand without any voting taken place. Moreover, the Head of the Committee no longer responds to emails or messages from me. This process seems robust in theory but hasn’t always worked in practice. Should the tournament rules give proper provision for “reasonable adjustment” for disabled players and observers in accordance with requirements of The Equality Act 2010 and the Equality Act (Disability) Regulations 2010. Similarly should they cover the wider issues of equality and diversification as covered by the Equality Act 2010? Similarly will such issues be incorporated in a future Constitutional document for the UKBGF? My understanding, shared with others, is that in thus context “impartial” is synonymous with “disinterested” and that the meaning is that Directors must have no financial interest in any players, and no vested interests generally. I note that American tournament rules use the word “disinterested” rather that “impartial” and believe this is clearer; perhaps “disinterested and impartial” would be best of all. 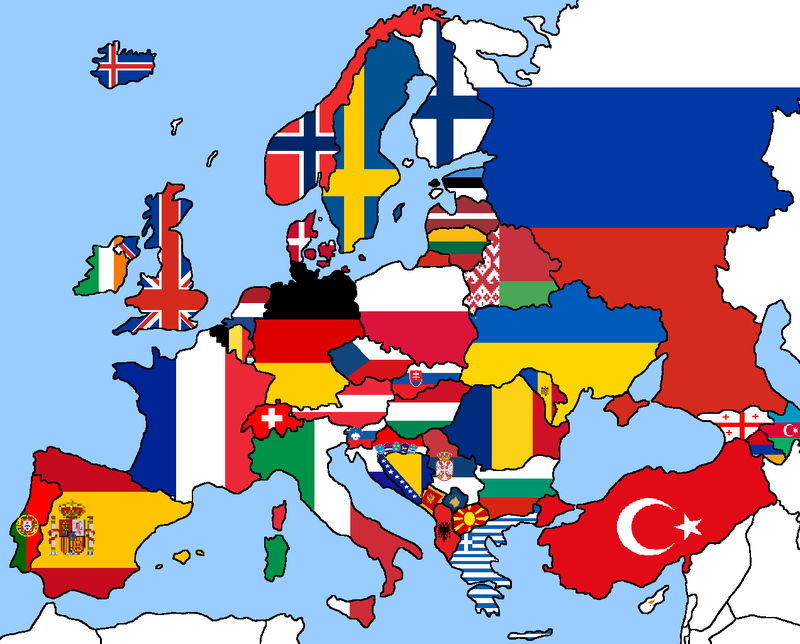 On your map of flags, I note that Spain, Portugal, Slovakia, Bulgaria, Holland, Cyprus, all the Caucasian states, all the ex-Yugoslavian states and all the European ex-USSR states are included. Are these all now member states of the EuBGF? No, the map is not meant to show EUBGF members. I will edit it in due course but it would have delayed publication of a time-sensitive article.